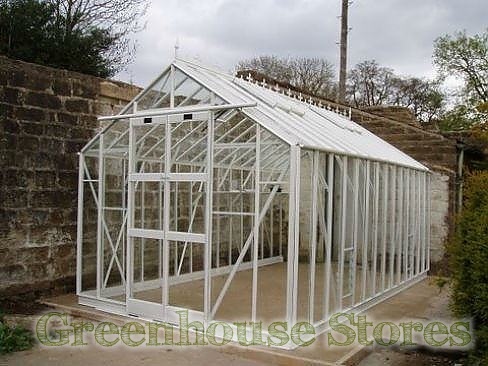 The 8ft x 8ft Elite Thyme greenhouse with it’s 8ft 5" width is a stunning greenhouse with traditional looks and beautiful Victorian design features. 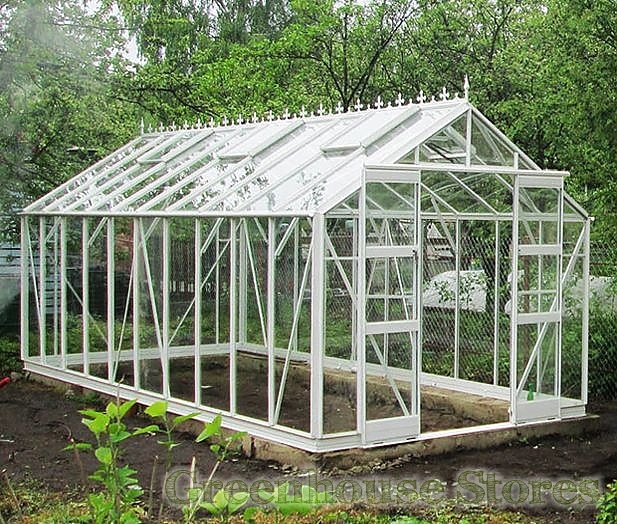 The greenhouse comes complete with roof crestings and finials and 12" wide glass panels to complete the traditional styling. 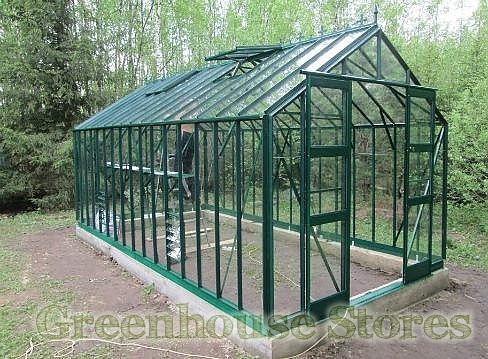 The Thyme 8x8 Greenhouse benefits from a sturdy high quality aluminium frame with bracing and strengthening on every other bar throughout. The double sliding doors have an integral door catch to keep the door shut in high winds or open when you need more ventilation. New features for 2013 include a door handle and a proper key lock for security. It features the Elite Low Threshold Base giving a safe and practical entry for you and all of your gardening bits and bobs. Elite toughened safety glass gives you peace of mind where children and pets are present and safety is top of the list. Toughened glass simply granulates if broken removing any danger of injury from shards of glass. 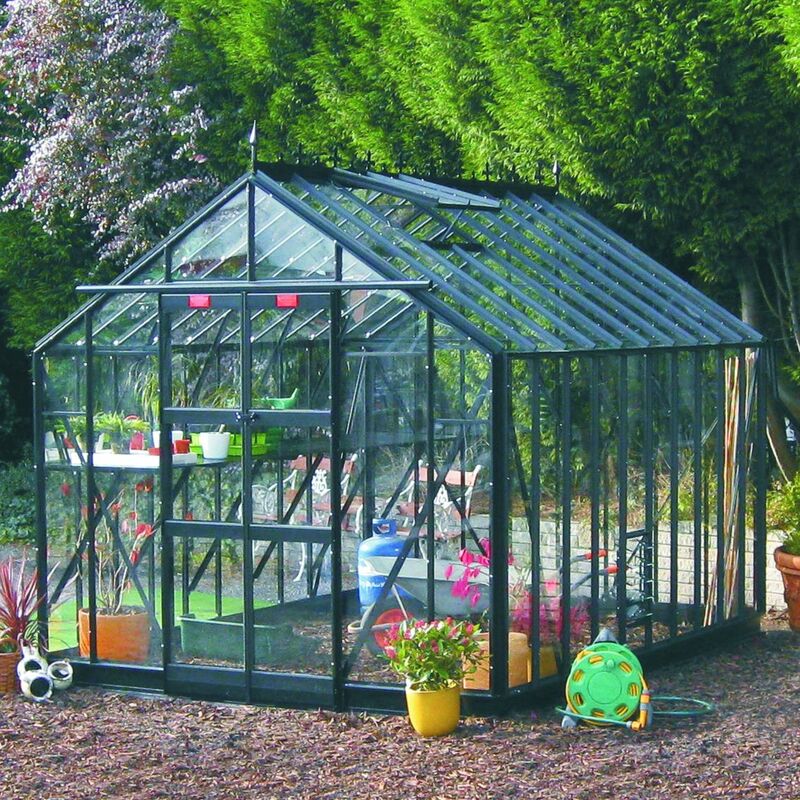 This Elite Thyme Greenhouse 8 x 8 has 2 opening roof vent and 2 louvre vents for ventilation, a double sliding door with key lock and integral gutters to collect rain water.